John Baker has held top leadership positions in sales, client service and operations in Fortune 25 companies for more than 25 years. 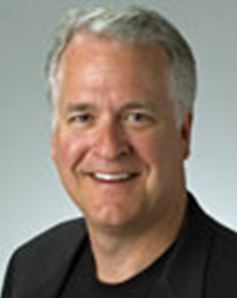 John is a graduate of the University of Minnesota with BA and MBA degrees. He is a member of the National Speakers Association, a noted speaker on topics of leadership, leader development, and building winning organizations. His new book: The Asking Formula - Ask for What You Want and Get It is scheduled for release in late fall of 2011. He can be reached at john@theaskingformula.com. For more information visit http://www.theaskingformula.com. John lives in Minnesota with his family. This web site frequently receives Emails offering opportunities to examine new books or articles for consideration. However, in general only those about project management are considered, and then only if the title and write-up appear to advance the understanding for the practicing project manager. But here we have an exception. John Baker's forthcoming book appears to us to be very relevant to those project management practitioners who are, or are likely to be, engaged in exacting requirements out of clients who may not even know what they really want. That's because project management does frequently involve the project manager in soliciting "requirements" (What do you really want?) And when those "wants" are not clear or practical or even optimal, then it is necessary to "sell" the (better) solution. From this perspective, the contents of the forth-coming book could be of significant interest to our readers.